Rapunzel and Flynn are happy together and love each other. Soon it will be February 14, which means it's time to think about how our beloved couple will spend Valentine's Day and what they will give to each other. In this game, you will find two parts of the game. First, it will be a dress up game where you can choose outfits for Flynn and Rapunzel. Then you and the heroes of the game will think together about what to give both for this holiday. You can choose a gift, as well as pick up a set of sweets, as well as choose the packaging design. In this game, a lot of work awaits you, so let's start having fun and help the couple in love to be especially happy on this day. Played: 1098. Added: 18-03-2019, 09:35. 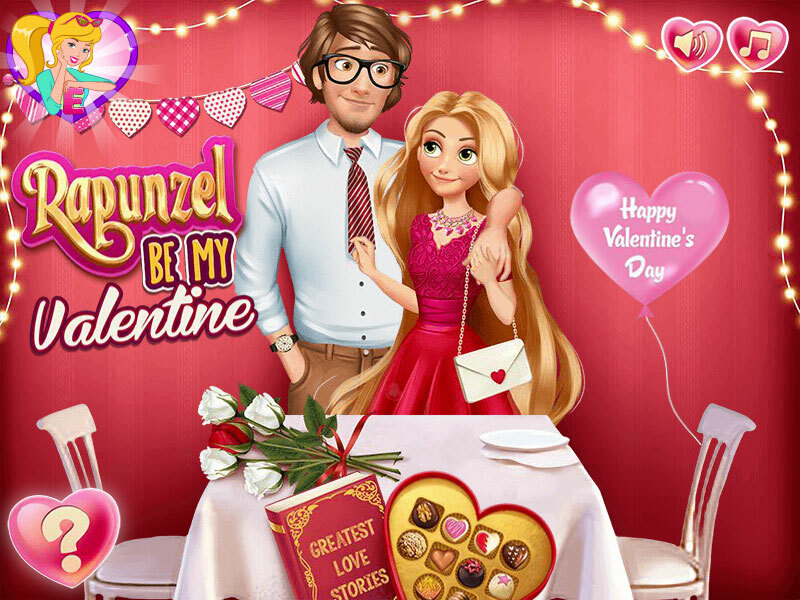 Rapunzel Be My Valentine game. 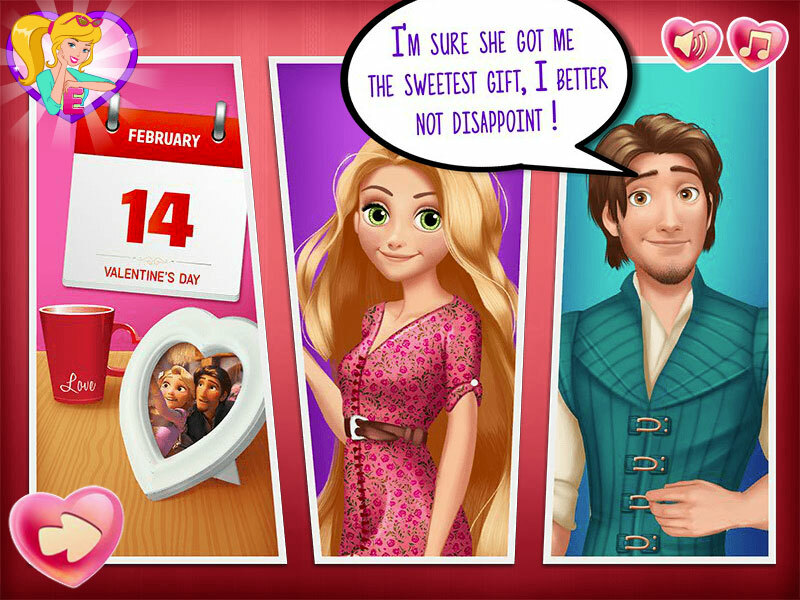 Rapunzel and Flynn think about February 14th. Rapunzel and Flynn pick up clothes.